Sony Handycam screwing up your life? 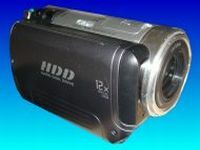 Our friendly team is happy to help recover your video footage and movies from this HDD camcorder. The drive may have been formatted, or had video clips deleted. Early Sony Handycam did not have USB connector so we can transfer your videos off the camera to Windows PC Computer or Apple Mac. The camera lists error code E3100 and says HDD Format error. Please format. When you try to reformat, it tries to format and then says Drive error. Turn on power again. The message does not go away, it won't take pictures or video. Just when you see the e3100 error you may now also see the Recording disabled message. Your day is going from bad to worse. Now while one error is preventing play back of video on the camera, then next screen says you can't record any more film. Best option is to switch off the camera and contact us for recovery. The less that happens to the camcorder the better the chances of getting the movies back. You turned off the camera only a few minutes ago, and now we have this new error. The hard drives tend to degrade over time so this is a natural occurrence. This is why you backed up your videos to your computer ... or perhaps you forgot. Or you were going to do it tomorrow. But technology caught you out - along with fragile electonics and mechanics. Contact us now for a quote. 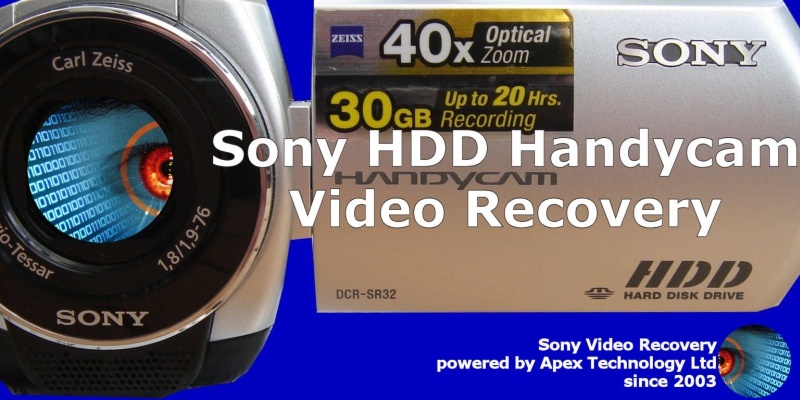 We recover accidentally deleted video from the Sony HDD handycam range. We also can bring back the video footage from accidentally re-formatted hard disk drive inside these dvd cameras. Below is a list of typical customer enquiries we receive. Camera has error code 31. I've tried all suggested fixes without success. How much would it cost to recover the Data? We recover video footage from disk error such as any C or E 5-digit code eg. C:13:00 C:32:00 E:20:00 E:31:00 E:61:00 E:61:10 E:61:11 E:62:00 E:62:10 E:62:11 E:91:00 E:91:01 E:94:00 101-0001 slow flashing / blinking warnings on the lcd display. 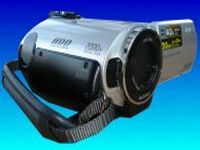 These camcorders often use 1.8" zif Hard disk drive from Toshiba. We recover accidentally deleted video or re-formatted hdd from these cameras. 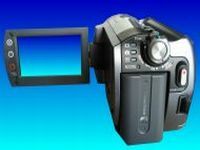 We have specialist knowledge to recover the lost video on your Sony Hard Disk camcorders hard drive. Sony Handycam HDD Video Recovery E3100 hard drive error disc access problems problems that we recover data from are listed below. Recovering video from Sony Handycam error E:20:00 E:31:00 E:61:00 E:61:10 E:61:11 E:62:00 DCR HDR HDD Hard Disc Error Deleted clips Formatted Format Drive.